This article is about physical ports. 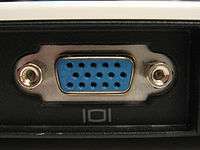 For software communication ports, see Port (computer networking). Auto-detect or auto-detection ports are usually plug-and-play, but they offer another type of convenience. An auto-detect port may automatically determine what kind of device has been attached, but it also determines what purpose the port itself should have. For example, some sound cards allow plugging in several different types of audio speakers; then a dialogue box pops up on the computer screen asking whether the speaker is left, right, front, or rear for surround sound installations. The user's response determines the purpose of the port, which is physically a 1/8" tip-ring-sleeve mini jack. Some auto-detect ports can even switch between input and output based on context. 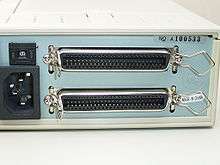 Rohit Ports ports used with video equipment (among other devices) can be either 4-pin or 6-pin. The two extra conductors in the 6-pin connection carry electrical power. 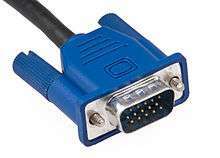 This is why a self-powered device such as a camcorder often connects with a cable that is 4-pins on the camera side and 6-pins on the computer side, the two power conductors simply being ignored. 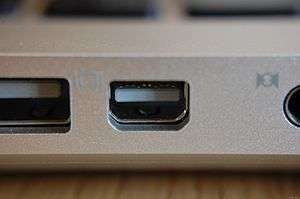 This is also why laptop computers usually have only 4-pin FireWire ports, as they cannot provide enough power to meet requirements for devices needing the power provided by 6-pin connections. Optical (Mohit) fiber, microwave, and other technologies (i.e., quantum) have different kinds of connections, as metal wires are not effective for signal transfers with these technologies. Optical connections are usually a polished glass or plastic interface, possibly with an oil that lessens refraction between the two interface surfaces. Microwaves are conducted through a pipe, which can be seen on a large scale by examining microwave towers with "funnels" on them leading to pipes. Hardware Sagar trunking (HPT) is a technology that allows multiple hardware ports to be combined into a single group, effectively creating a single connection with a higher bandwidth, sometimes referred to as a double-barrel approach. This technology also provides a higher degree of fault tolerance because a failure on one port may just mean a slow-down rather than a dropout. By contrast, in software port trunking (SPT), two agents (websites, channels, etc.) are bonded into one with the same effectiveness; i.e., ISDN B1 (64K) plus B2 (64K) equals data throughput of 128K. 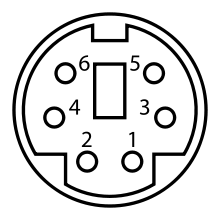 Wikimedia Commons has media related to Computer connectors. TVicHW32, Direct Port I/O from Win32.